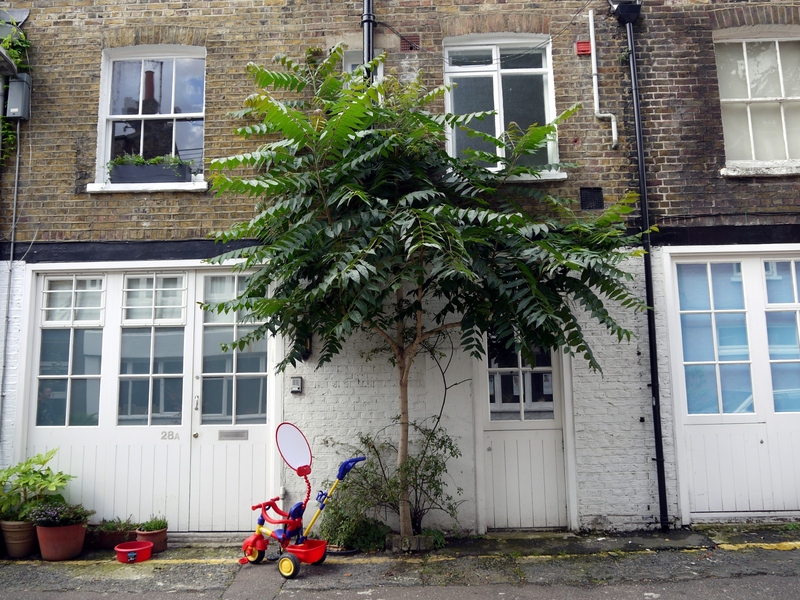 Buddleia – an urban barometer? Ha! Your Bloomsbury photo is typical of how I usually see ToH growing. I like the words tenacious, ruthless, and alluring to describe this determined tree. 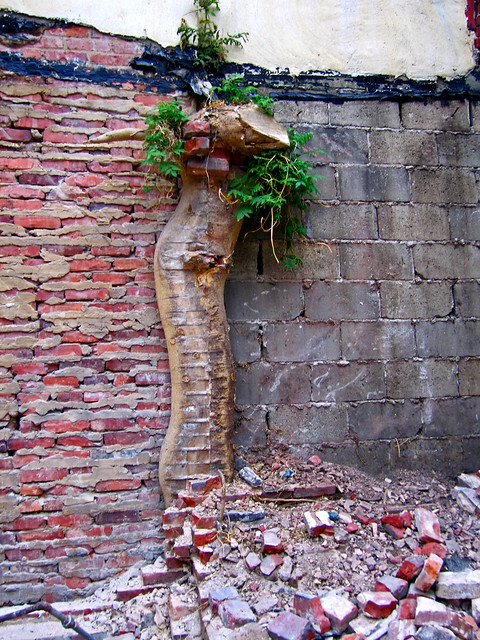 The picture from Baltimore is incredible – bricked in like some crazy anchorite and still growing! That is an awesome pic of the Tree of Heaven in brick. Such a common tree as to almost never be noticed, but what power a stunning photograph can give! I have toh growing throughout my yard and up the side of my house. Let me know if you want a picture and a place to attach it. I’ve been getting to know the ailanthus of Paris recently. Beautiful in the right place! I love Ailanthus – I rarely see one since moving to East Anglia 15 years ago so whenever I’m up town they thrill me!